I’m once again participating in a great reader event at Night Owl Reviews. 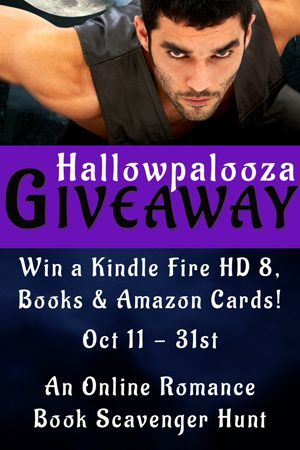 To celebrate the release of my new ‘Jilted Brides’ trilogy, I’m helping to sponsor their autumn Hallowpalooza Scavenger Hunt. 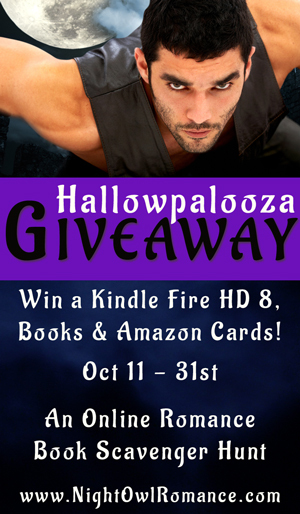 You can win Amazon gift cards, romance novels, and other prizes. Find some great new authors to love, and along the way, be sure to check out my featured title, JILTED BY A CAD.